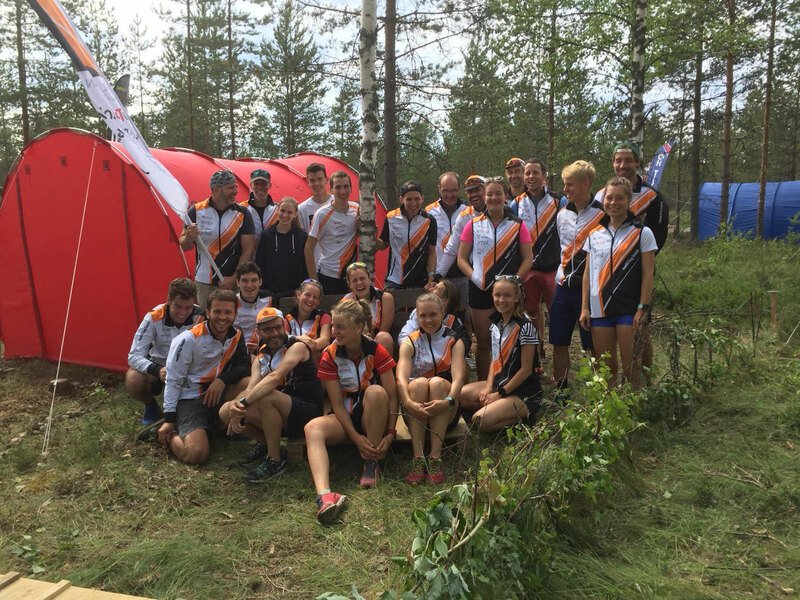 Venla/ Jukola 2018 – the weekend of the year is already over. Similar to every year it was great, and even better with ol norska raskt tog team! This was our highlight, this was the main topic of our clubtrainings, this was the biggest motivation, we couldn't wait to start Venla and Jukola in Lahti FI! Several times during this season I had some problems to find the motivation and right attitude. 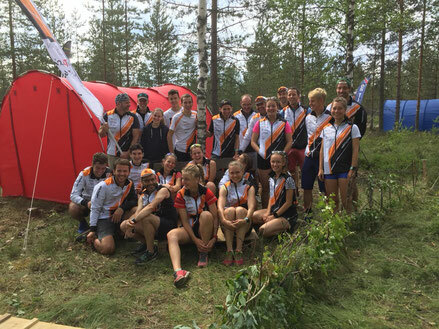 And every time it was the raskt tog team and the thoughts of Jukola which made me looking forward again. My motivation for this weekend in Finland was bigger than for anything else and already many weeks before I was smiling and getting nervous when thinking about it. Only a bit because of my race but mainly because of the happening together with ol norska and the team, I was looking forward to prepare together, to race and cheer together, to laugh, discuss and live together, to be in the same pot and in a way to be family. I was running the first leg in our second Venlateam and I showed why it was no discussion to run in the first team. I was loosing 5min due to mistakes and some more because of not running fast enough. My race was not completely bad but neither it was okay and handing over in 64. position is definitley nothing to be proud of. Nevertheless these days have been amazing! I was enjoying every minute together with the team members, I was laughing a lot and I was just happy to have those boys and girls around me. Off to Jukola 2019! But first I have to fix my „orienteering fracture“. Due to a certain reason, which I don't know yet, I'm just not getting into the right mood and my trainings and especially the competitions are filled with mistakes and uncertainity. The flow that I was having during most of my juniortime was not coming with me to the eliteclass and I don't know where it is in holidays. While others are developing and making steps forward, I'm just standing still and sometimes I even feel like moving backwards. I'm not progressing physically and I'm not getting better technically. Due to a little injury in my knee I was not able to run intervals the last weeks which could maybe be a reason for the physical stagnation, but for sure is not all. In some weeks there are the Students World Championships in Finland, where I will be running Sprint, Middle and Relay and this is my chance for coming back. I want to train hard and well planed for it, to find the main problem in my mind and to know exactly what to do when being out in the forest. I want to progress, I want to find the flow again and I want to be ready for next years Jukola!